I have to apologise for my absence over the last few days...of course I'm assuming that I was missed! It seems that we have had a run of bad luck in our household: first I lost the data stick that provides the internet access, then my daughter's charger plug for her laptop refused to work anymore, sort of gave up the ghost so to speak and so she has been using mine. All this might have been workable except she also lost her cell phone and so instead of me being able to easily get in touch with her to figure out how to get the laptop back and forth I have had to send her facebook messages, which she only checks sporadically in between classes. AAAGH! (Deep breath). So here I am on a Wednesday evening, sitting at Cass's house and writing this post, having been given the use of her daughter's laptop (who gets a lot of credit for giving it up graciously considering she was right in the middle of watching Hanna Montana season two on You Tube). Last week I had the great opportunity of getting to meet and speak to a room full of women survivors of Domestic Violence. It was at the Women's Weekly group that is offered once a week... check out our calendar for more details if you are interested. This group is amazing. The leaders have worked hard to make sure that the weekly topics are not only relevant but interesting; there are frequent guest speakers (police services, CAS, Victim Support Services just to mention a few), it's on a drop-in basis and the coffee is always on. I have spent many hours over the last couple of years, nestled into a corner of one of the big red couches, often laughing, sometimes crying, but always leaving with a renewed sense that I am not alone. One of the sessions that I have enjoyed most in the past is the one that deals with what you can do as a parent to help your anxious child. There is nothing more fear and anxiety producing as a parent than watching your child suffer, know there is something wrong but not having the first clue how to help them -- and there is nothing as reassuring as sitting with a room full of mom's all struggling with that same thing. The staff at Women's Weekly do a great job at bringing their expertise to the table, they offer insight into what makes our kids behave the ways that they do and they provide tools that we can use to help them deal with what is bothering them. I think that as parents of children who have been exposed to the trauma of Domestic Violence, we often see all too well the destructive behaviours and we often question why our children might be seen to have 'behaviour problems' - we just need to be pointed in the right direction, get the right information and the pieces start falling into place. As survivors of Domestic Violence, we can know that even though each of our circumstances and situations are unique, there is a common journey that we all take. When you get to the point where you are able to raise your eyes and start to look around you, when you feel like you can actually take a breath and that some of the ever-present crisis has backed off a little, you know that your experience is valuable to others. Okay, maybe you hadn't thought about it like that before, but I'm telling you that it is. Your experiences, your tips, your insider information, so to speak, could be what makes the difference between life and death for somebody else. Yes, I realise that's a little heavy but I challenge you to think about it like that. What you are learning, or have learned can never be taken away - it is what places you where you are on the road to healing - wherever you are, guaranteed there are women behind you who will benefit from your knowledge and experiences. We want to ask women who are survivors of Domestic Violence to take a chance and trust 1 in Four, we want you to join your voice with other women as we think up ways to help not only each other, but to help others out there who have yet to connect with their sisters. I think about how isolated I was before I had met any other survivors and it makes me think of others out there in the city who may be in the same position that I was in. 1 in Four is creating an Advisory Council, fancy name for a simple idea: we are inviting interested women survivors of Domestic Violence to gather together in a safe space, get to know each other and swap ideas about what we want to see happen in our community. If you live in the Hamilton area and would like to find out more, please email me at cathyw@1infour.ca. Thanks. 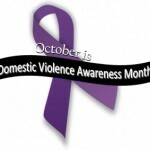 I haven’t personally been a victim to domestic violence, but I do know people who have. Thank you for raising awareness!